ProMag® Ruger® P93 / 95 9 mm 32-rd. Mag. Replacement Mags by ProMag® are made of high-carbon heat-treated steel and TIG-welded for strength. Springs are precision wound using heat-treated chrome silicon wire. Bases and followers are injection molded from long-lasting polymers. Round Steel Blue. ProMag Ruger P93 / 95 9 mm 32 - rd. Mag is rated 4.8 out of 5 by 9. 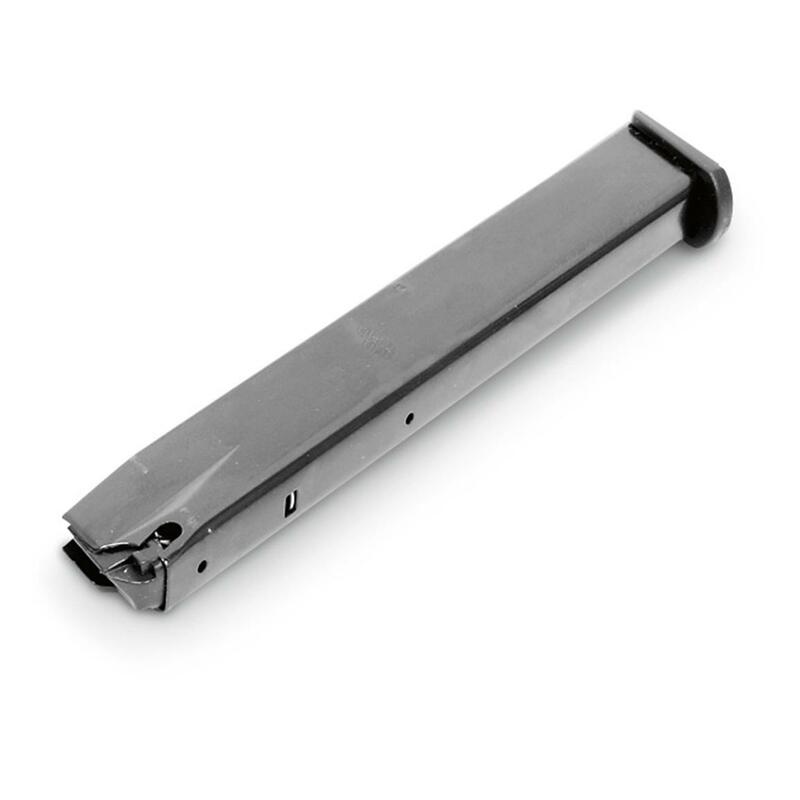 Rated 5 out of 5 by Rugerman454 from Flawless Feed Through My Ruger PC9 I ordered two of these magazines and both fed my PC9 flawlessly. The fit into the rifle was firm and precise. The only problem was one of the followers would not activate the slide stop to keep the slide back. I had an after market mag for my P95 which I took the follower from and replaced the one in the Pro Mag magazine and the slide stop worked. Rated 5 out of 5 by JEFFREY from Works good. Rated 4 out of 5 by JACOB from Appears to be quality item. Rated 5 out of 5 by GREGG from Product as described and quick shipping. Rated 5 out of 5 by GERALD from made in the usa! locks into gun nice and snug. has a 32 rnd capacity but unless you have a loader you will not fill by hand. last few rounds are very tight. worn out slide may cause cycling issue but mine performed great. very well made. lifetime warranty! Rated 5 out of 5 by TOM from Works great and fits pistol perfect.